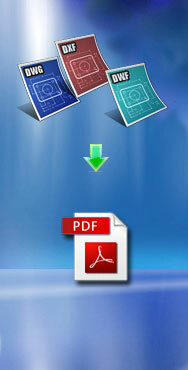 Open, view, plot DXF, DWG, DWF drawings created with AutoCAD based products. 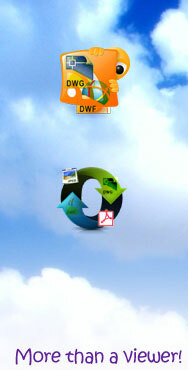 Quickly convert DWF, DWG, DXF drawing to Adobe PDF. 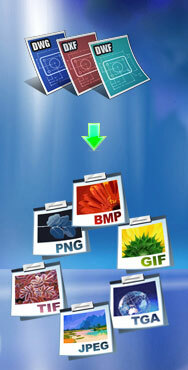 Convert DXF, DWG, DWF drawings to well-rendered JPG, BMP, GIF, TIF, TGA, and PNG files in batch. 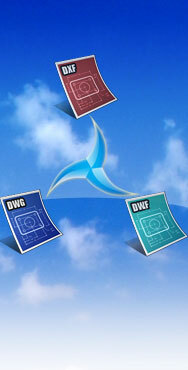 Batch convert from DXF to DWG, DXF to DWF, DXF to DWG, DXF to DWF, DWF to DWG, DWF to DXF. Convert DWG to SVG, DXF to SVG, and DWF to SVG in single or in batch. Packed software solutions embodying all of the above products. The above products are shareware, and you can evaluate them for up to 15 days. 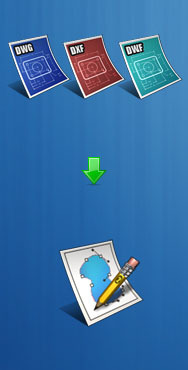 When the evaluation is over, you are opt to buy the full version of the software or remove them from your computer. The full version of Benzsoft software products can be obtained online after you pay the registration fee and get a license from one of our resellers worldwide. Operating system 32-bit or 64-bit Microsoft® Windows® 10, Windows 8.1, Windows 8, Windows 7, Windows Vista, Microsoft Windows XP, Microsoft Windows Media Center Edition, Microsoft Windows Server 2016, Microsoft Windows Server 2012, Microsoft Windows Server 2008, Microsoft Windows Server 2003. Easy CAD to SVG Converter is 100% ad free!